Home » Why Mechanical Keyboard? Why Choose A mechanical keyboard? Mechanical keyboards have become increasingly popular in recent years both for their aesthetic and functional qualities. The feeling you get from typing on mechanical keys is simply unique, and as an E-sports warrior, you also get a number of performance enhancing benefits from a great mechanical keyboard. There really is no reason why you shouldn’t have a great mechanical keyboard to take your gaming to the next level. mechanical gaming keyboards are extremely durable and meant for use beyond the lifespan of a typical membrane keyboard. Depending on which gaming keyboard you buy, the keys could be rated for tens of millions of keypresses. Another great thing about mechanical keyboards is that they’re easy to clean and maintain. Since the switches are mechanical, the keys pop off and go back on easily. Lost keys and mechanical switches can be replaced in seconds so you don’t have to throw your keyboard in the trash can. There are a ton of switches available on the market today, and each will give you a different typing experience. Each kind of mechanical key switch has a different color, corresponding to varying levels of clickiness, tactileness, and sensitivity. For example, the red switch is meant for gaming and has the lowest actuation force. This means its easier to activate a bunch of keys in quick succession. Mechanical keyboards have a number of different customization options beyond even the type of key. For example, another great feature of a mechanical keyboard is the swappable keycap. You can change the keys whenever you want, and swap them out for others that feature molded sculpting, texturing for better tactile control, or differently colored plastic. It all depends on your preference and the games you will be playing. Beyond that, some mechanical keyboards have added features like macro command customization and dedicated macro keys, which are especially useful for gamers. 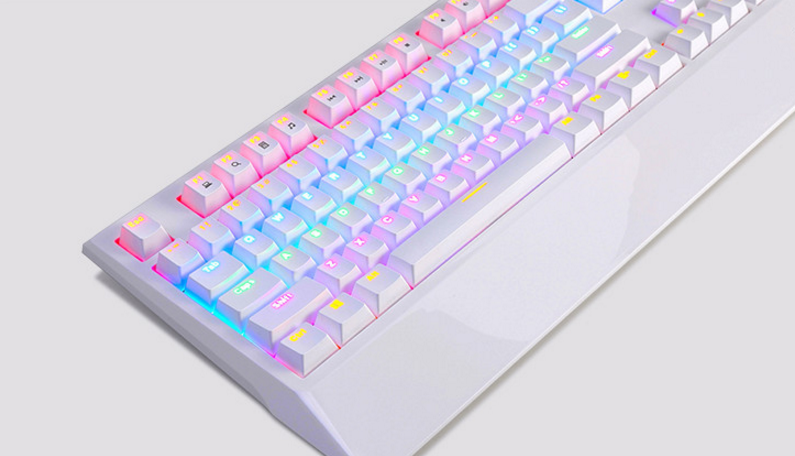 Some mechanical keyboards are with many beautiful dynamic back light effects, this make the mechanical keyboard a lovely artwork, users may design their own backlit effects on the mechanical keyboard, in a sense, the mechanical keyboard itself is a game. Mechanical keyboard is more durable. Because each key uses a separate mechanical switch, rather than a single rubber sheet with a bunch of contacts on it or a bunch of little flimsy scissor switches, a mechanical keyboard will last a lot longer. Since there’s a several-millimeter valley between each key cap, and the caps are curved, it’s easier to hit the key you’re looking for (and not the one you aren’t). Also, because they have longer travel distances, it’s a lot easier to tell when you’ve activated a key or not. If you want to know for sure, you can get one of the clicky or bumpy key types and get actual tactile and audio feedback for each activation–useful if you often hit a key without bottoming out. You can always tell when someone is typing on a mechanical keyboard. While only some of the switch types have actual “clicks” or “bumps” that indicate when a key is activated, most mechanical keys make a clicking or tapping sound when they bottom out, which goes a long way toward making you feel like you’re getting actual work done. It sounds like you’re accomplishing something. Some immersive writing applications even add in typing noises to replicate the sound of typewriter keys. You don’t need to do that if you have a mechanical keyboard. 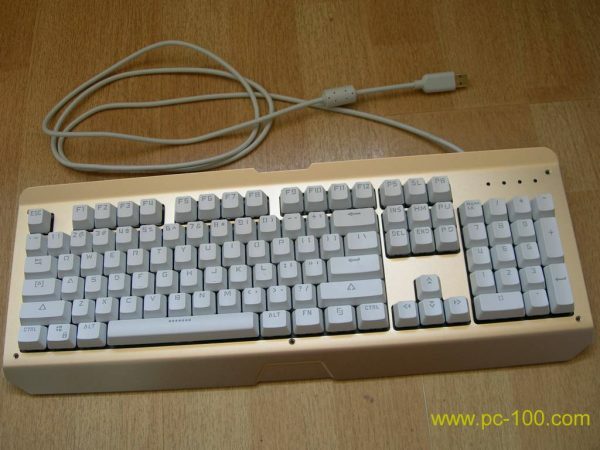 Most non-mechanical, USB-connected keyboards have limited key rollover, especially for keys near each other.This is not really important for typists, but it becomes very important for gamers. Most non-mechanical, USB-connected keyboards (which includes laptop keyboards, since they’re usually on an internal USB connection) have limited key rollover, especially for keys near each other–often, pressing two or more keys in a cluster will cause other keys in that neighborhood to stop responding until those keys are lifted.